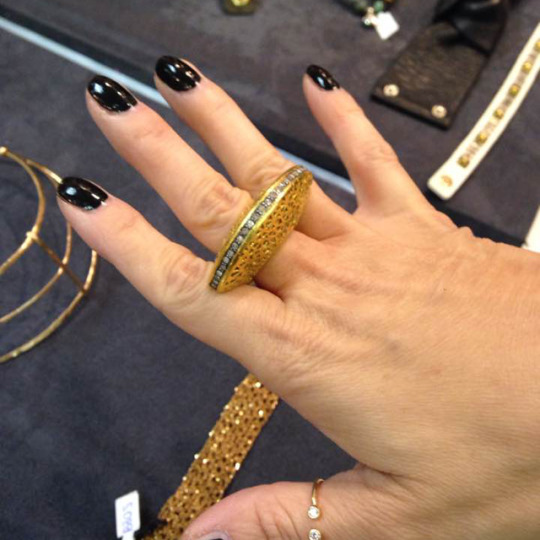 A happy customer of Ambassador Risa Garrett shows off her new Gold Fan Ring (and an amazing mani!) in this shot. Created in India using an artisanal technique using 24k gold sheet fused onto sterling silver, an elegant ring of pavé diamonds finishes this look.